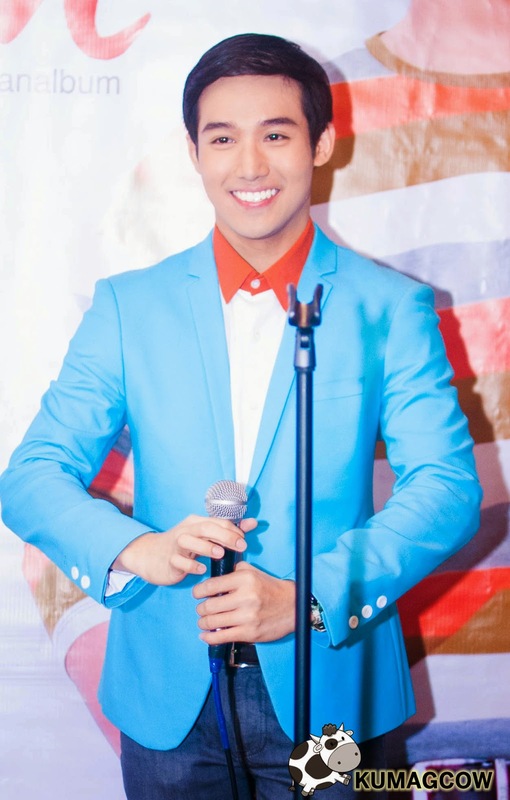 Young good looking guy Ken Chan launches album! I've met Ken Chan in a charity event several months ago. During that time, I didn't know who he was, what he did or what he wanted to do with his career. A little background check and I've learned he's already a pro in commercials, he joined the stable of German Moreno in his late night show "Walang Tulugan" (No Sleep) together with other teens. Later on, he joined the cast of Tween Hearts which was a huge break. That might have stretched his teen years a little and broaden his fan base. He's done several shows later on, the most recent one of which is the top billing "Ang Dalawang Mrs. Real" (The two Mrs. Real's). Then now it's another feather to his hat as he begins his recording career with a self titled album "Ken Chan". One of the greatest entertainers in the Philippines, legendary Father to the stars German Moreno. German Moreno himself was in the album launch to give support to the young artist. He also mentioned how they will continue to support and give recognition to artists who excel in their craft especially those who are good at it. He also heads the Philippine "Walk of Fame" that's found in Eastwood City and he mentioned a number of people that will be immortalized there pretty soon. Ken as he said works pretty hard and he hopes to find him fulfill his dreams the soonest. Ken Chan also treated us with some songs on his album. The first one was "The Boyfriends" original song "Nais Kong Malaman Mo" (I want you to know) then an original called "Paikot-ikot" written by Kiko Salazar (Spinning) which is another OPM song in the track list. He's also got "Dahil Ikaw", Born For You, Tulog Na and Sumayaw Sumunod plus its equivalent instrumentals which completes his album's 12 tracks. It's also available on iTunes so there's no excuse for people abroad to purchase it. I got the vibe that Ken's very thankful about those who have helped him to make this album possible. When asked about what's next for him, he told me that he's taking it day by day. Whatever opportunities arise, he'll be grateful and will try his best to grab it. He's also glad that he found his purpose in life and he's looking forward to more projects where his abilities to sing, dance and act would be utilized in its fullest potential. He wants to entertain more people and I'm sure he'll get there. Congratulations Ken! You deserve each and every bit of your success. I hope to see you achieve more than you wish for, because you are a really good person inside and out! Make sure you get his album which is out now on leading record bars nationwide!